When would I use my scanner inbox? Where do I find my scanner inbox? 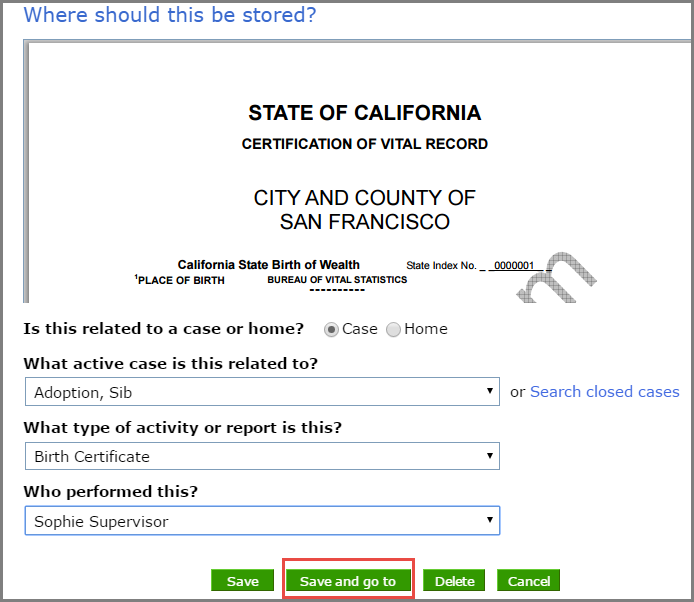 This article is meant to assist you with using your scanner inbox. 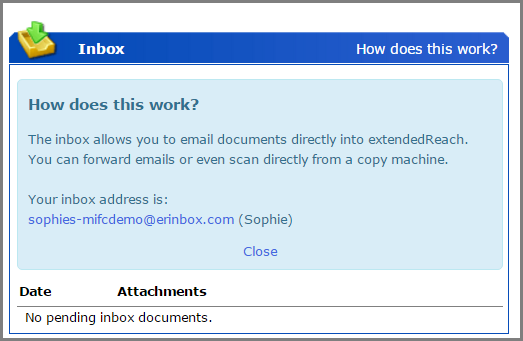 Quick and easy way to get hard-copy or attachment documents into the extendedReach system. Folder will be on your Workspace, called “Inbox”. 1. 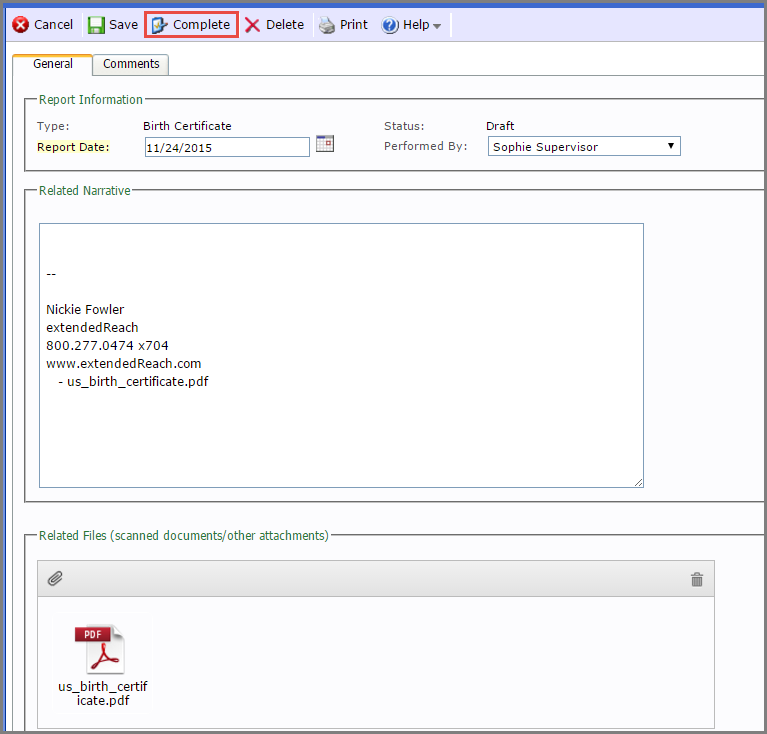 Scan and email documents with an email-capable scanner directly (do not BCC) to your Scanner Inbox using the email address associated with your Scanner Inbox. 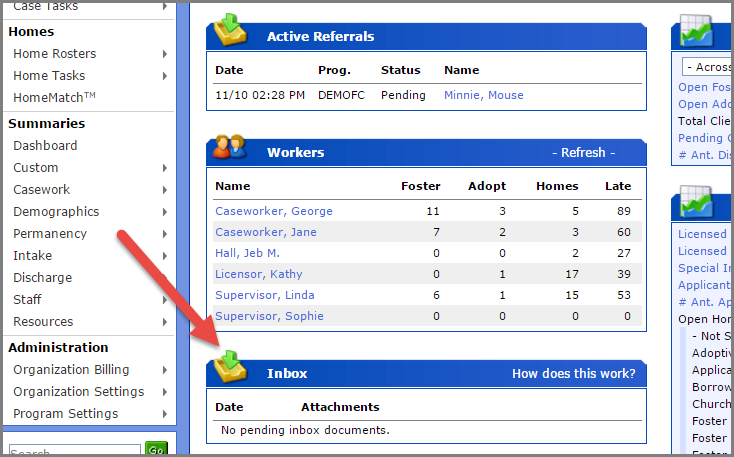 Easily find the email address by clicking “How does this work”. 2. To file the attachment, click on “File This”. 3. Select Case or Home. 4. Answer question: What active case/home is this related to? 5. Answer question: What type of activity or report is this? 6. Answer question: Who performed this? 7. Press “Save & go to”. 8. Description of document is found here. 9. Press “Complete”. Document will now be stored.